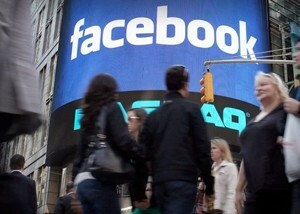 The Nasdaq, a group of the top 100 non-financial companies that trade on the stock exchange, recently updated their index last week to include Facebook. But Facebook and other additions meant that some will have to be bumped from the list – companies like Netflix and Research in Motion, for example. IT consulting firm Infosys will also be leaving the index but they are planning to move over to the New York Stock Exchange. Netflix, on the other hand, isn’t so fortunate. Stock value in the company has been flat as of late while RIM is still holding on to the hope that their next generation operating system will be the saving grace they so desperately need. Netflix and RIM weren’t the only household technology names to be shown the door. They were joined by Electronic Arts, VeriSign and Marvell Technology as well as lesser known names like Flextronics International and Lam Research. Two other companies will be leaving the exchange as well: pharmaceutical company Warner Chilcott and Green Mountain Coffee Roasters. In addition to Facebook, Western Digital, Verisk Analytics, SBA Communications, Regeneron Pharmaceuticals, Analog Devices, Catamaran Corp., Discovery Communications, Equinix, Liberty Global and Liberty Media will all be joining the Nasdaq later this month. Nasdaq vice president John L. Jacobs said the reranking process ensures the Nasdaq 100 remains a relevant investable index that is the underlying benchmark for more than 7,100 products spanning 22 different countries with a notional value approaching $1 trillion.